We can’t emphasize how important it is to optimize for mobile use especially as Google continues to focus its efforts on rewarding mobile marketing. Earlier this year, Google released a number of efforts that boosted the page rankings of mobile-friendly websites on mobile search results. The updates greatly benefit users doing mobile searches, since it is now easier to find higher quality content and more relevant results that can be read on their mobile devices without having to tap or zoom. 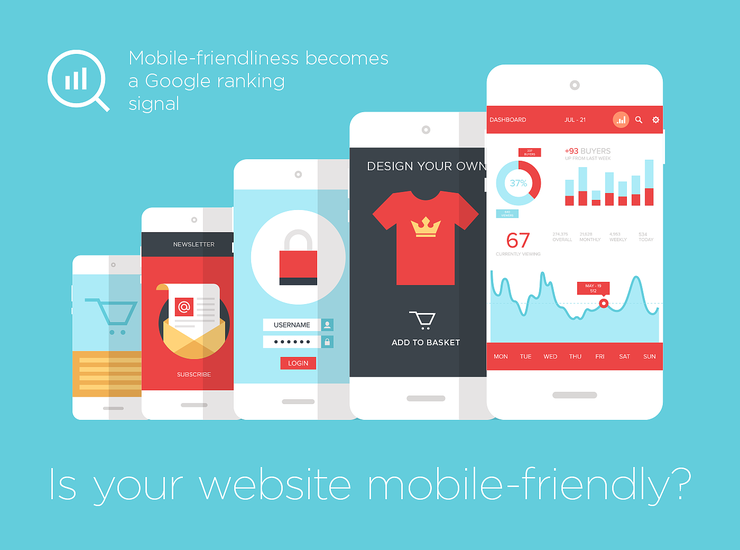 The updates only affect mobile search rankings– This means although Google is rewarding mobile-friendly websites by increasing their page rankings on mobile searches, they are not punishing websites that are not optimized for use. Although non-optimized websites won’t be ranked high on mobile searches, their ranking will not be affected by the update on searches done on non-mobile devices, such as laptops or desktops. The updates are basically Google’s way of implementing quality control – they are for the benefit of the mobile user. The updates will affect search results worldwide – This shouldn’t come as much of a surprise when considering the fact that Google is used throughout the world. Not to mention that mobile devices are just that – mobile, which means that mobile users could be doing mobile searches from anywhere. This also means that the updates will affect all mobile search results done on Google no matter what language they are in. The updates apply to individual pages – There are websites that contain some web pages that are optimized and some that are not. Instead of an all or nothing ranking, Google judges each web page separately. This means that if your website has a blog that is mobile-friendly, it will be ranked higher on mobile searches. However, if your website’s homepage is not mobile optimized, it will rank worse than your blog on mobile searches. While mobile marketing has been catching on quickly over the last few years, these updates will help drive mobile optimization even harder. According to a number of recent tests, Google’s new mobile algorithms updates could affect upwards of 40 percent of the Fortune 500 websites.In fact, you may be surprised at how many top brands have yet to optimize their websites for mobile use. Studies done only two years ago showed that barely one-third of the Fortune 500 were prepared for mobile search. 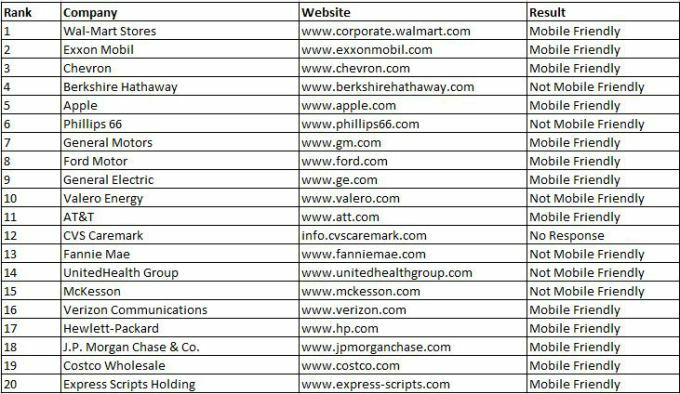 If you look at the top 20 companies listed on the Fortune 500, you’ll find that six of them are not mobile-friendly while one of them had no response. Why is Google focusing so much on mobile updates? 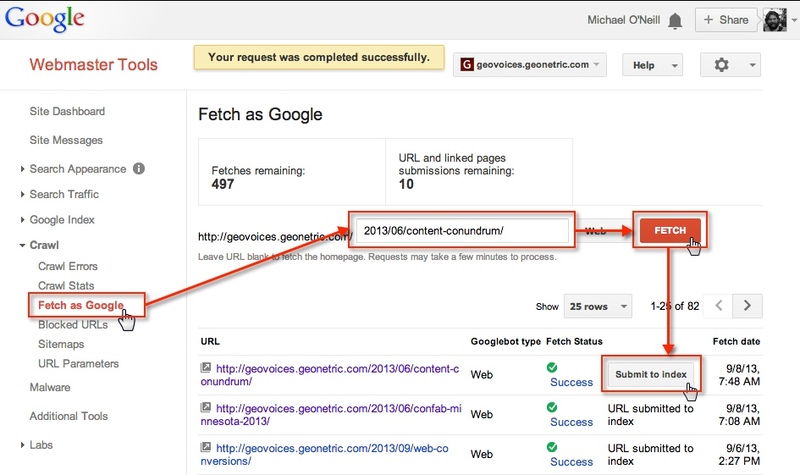 Why is Google so obsessed with emphasizing mobile optimization? Google understands that there will be over 2 billion smartphone users by the time the next year rolls around and that, according to numerous experts, almost 33 percent of the world’s population will use smartphones by the year 2018. So, taking this data into consideration, Google has made these updates to, first of all, make their searches better for mobile users. Secondly, these updates will help ensure that Google retains its position as a useful search engine in the mobile age – something that isn’t a given, especially with mobile properties such as Facebook making big splashes. In fact, Facebook went from having a 5.4 percent market share of worldwide mobile ad spending back in 2012 to 21.7 percent only two years later! Why should these mobile updates concern you? Let’s say you have a website that ranks on the first page for numerous searches. If your website is not optimized for mobile use, then you won’t be ranked on the first page for those same searches done on mobile devices. This will actually have an enormous effect on you. 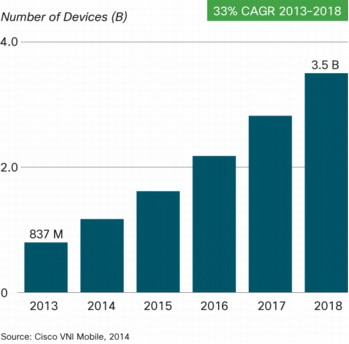 As smartphone ownership increases, so do the number of mobile searches. According to a recent study, mobile traffic to websites grew 35 percent over the course of one year, while 28 percent of all online revenue was actually generated by mobile devices. Basically, if your webpages aren’t optimized for mobile use, you are going to begin feeling the effect of missing out on website traffic, and even online revenue, if you haven’t already. 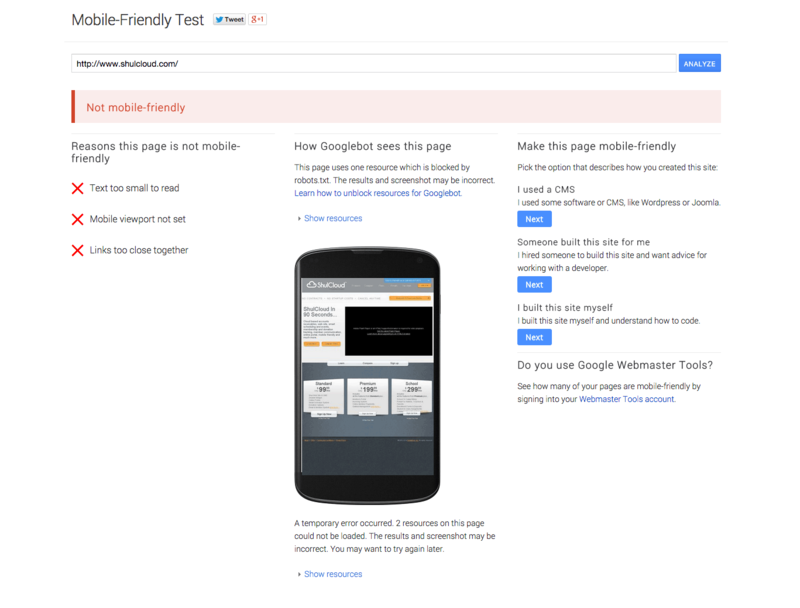 How can you check to see if your web pages are mobile-friendly? To see if Google’s recent updates are going to affect you, you’ll need to figure out whether your web pages are mobile-friendly or not. You can use several Google tools, such as Google’s Webmasters Tools Mobile Usability Report feature or the Mobile-Friendly Test, in order to go through your website to see if it’s optimized for mobile use. You’ll most likely experience a significant decrease in mobile traffic if your web pages are not mobile optimized, but Google has stated that as soon as you make the changes necessary to make your website mobile-friendly, they will re-process all of your website’s pages automatically. Just keep in mind that this can take as little as a couple of hours to as long as 72 hours to complete. 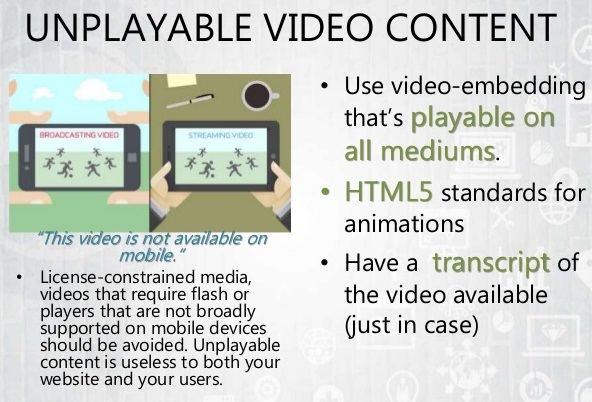 Unplayable content – Certain media content won’t play on mobile devices. For example, media that requires Flash, which isn’t widely supported on mobile devices, won’t play. Obviously, mobile users are going to be frustrated if your website contains unplayable content. To avoid this, use HTML5 standard tags to include your videos and animations. 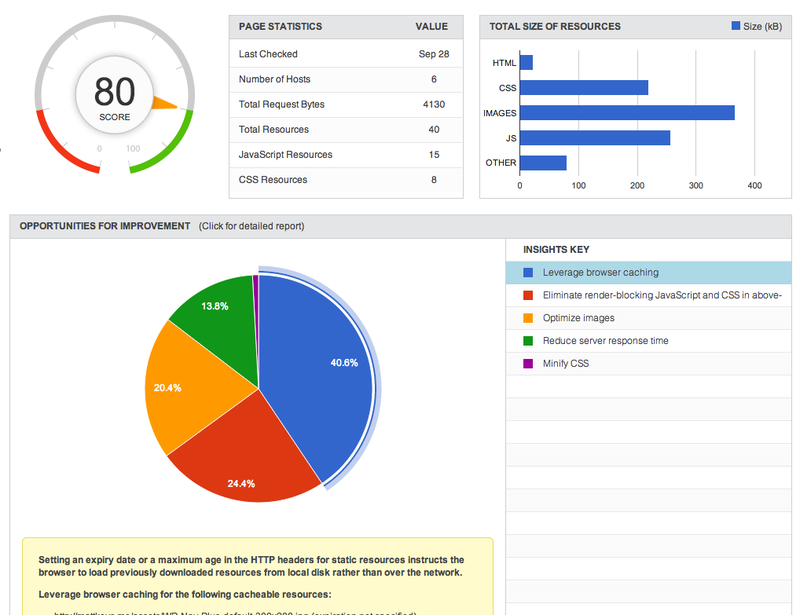 Google Web Designer makes it easier to do this. 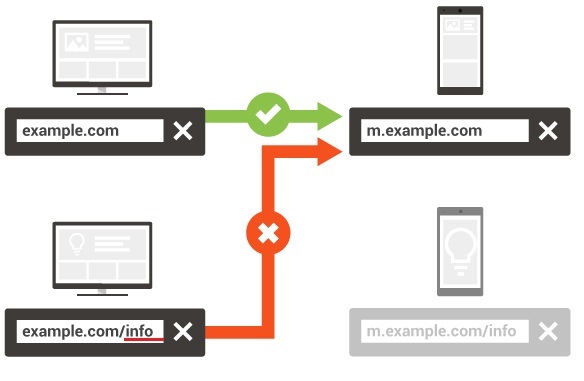 Faulty redirects – If you are using a separate mobile URL, then you need to redirect mobile users from every desktop URL to the appropriate mobile URL. One of the biggest issues with this is when mobile users are redirected to the homepage – or another incorrect page – every time. 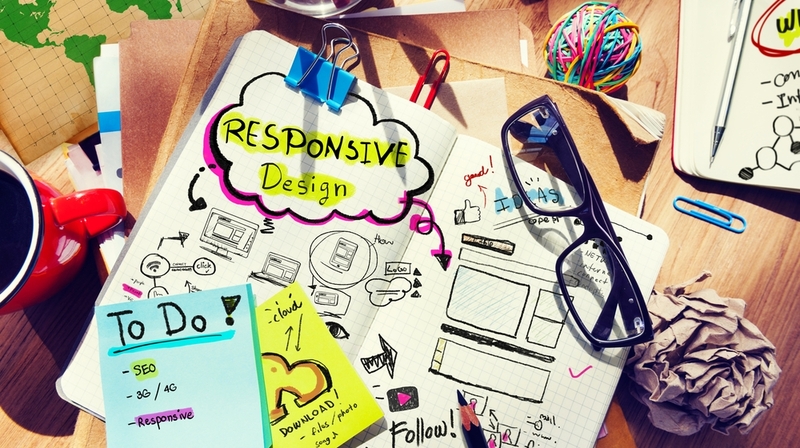 A responsive web design will eliminate the need to have two separate URLs. You can also check the Smartphone Crawl Errors section of Webmaster Tools to spot any faulty redirects so you can fix them. Using mobile-only 404s – Mobile-only 404s occur when mobile users try to access a URL that is only accessible to desktop users. It basically means that the page is unavailable for mobile users to view. You’ll need to create an equivalent mobile page at a different URL or make sure that your website has a responsive design to avoid this. If you have Webmaster Tools, you’ll be sent a notification of this issue if it exists. App download interstitials – An interstitial is kind of like a pop up ad. Many websites will promote their native apps by using app download interstitials on their mobile websites. The problem is that these can result in indexing issues and will also disrupt your visitors’ experience exploring your website. Instead of using app download interstitials, use a banner that promotes your app. This can be done by using something like Smart App Banners for Safari, or by simply creating an HTML banner that links to the app store. Cross-linking inappropriately – Websites that use a separate mobile URL often have links on the mobile URLs directing users to their Desktop URLs and vice versa. This is a very common mistake and one that is going to affect not just your mobile user experience, but also your desktop user experience. To avoid making this mistake and disrupting your user experience, check all of your links to ensure that they are directed to the correct equivalent page. If you haven’t optimized the pages of your website for mobile use as of yet, then you need to get on that immediately – especially now that Google has released its mobile-friendly updates. If you don’t optimize your website, you are going to begin experiencing a big drop in the amount of mobile web traffic that you are receiving. However, as you go about optimizing your website for mobile use, be careful not to make any of the seven most common mobile mistakes. Since mobile search results are all about getting local relevant keywords to rank for your business, finding the right tool to search for and to keep track of your local ranking keywords is extremely important. This is why you may want to check out RankReveal. Not only will RankReveal help keep track of your ranking keywords, it will also help you to discover all the local ranking keywords within your niche, including those that you may not be aware of. You can then build your strategy around those keywords that you want to rank for your business. If you are interested to find out how to get all of these geo-specific information, you can always check out RankReveal. Our software can help you discover all your ranking keywords based on different localities. Click here to find out more about RankReveal now.